for her struggle for democracy in Myanmar (Burma) over 2 decades including 15 years in prison. Today, I feel ashamed, and the reason is that she is enjoying the top position in the government as a State Counsellor – equivalent to the post of Prime Minister – but she has been failed to protect the lives of minority Muslim Rohingyas. A Nobel peace laureate, Aung San has now no justification to keep the Nobel Peace Prize, therefore, the people around the world are demanding that her Nobel Peace Prize should be revoked. been brutally murdered, burned alive to death, women and children are raped. According to latest figures of United Nations around 27,000 Muslim Rohingyas somehow managed to cross the border and enter Bangladesh. Aung San Suu Kyi doesn’t recognize Rohingyas and she hates them, she refused to accept them as citizens of Myanmar in media interviews – what a shame – the fact of the matter is Muslim Rohingyas have been living in Myanmar since 11th century, they are the descendent of Indian, Chinese, and Arab Muslims. They are only 4 percent minority of the 80 majority of Buddhist. Majority of Muslim Rohingyas live in the state of Rakhine. The ethnic cleansing of Muslim Rohingyas as is not new, according to Amnesty International, Muslim Rohingyas have been continuously victimized and abused since 1978, in result a large of quantity already fled to neighbouring countries. According to the Economist reports published in 2014 and again in 2017, the Muslim Rohingyas are amongst the most persecuted minority group in the world. Yet, we could not see any practical and forceful action against Myanmar’s government by the champions of world’s peace, international power brokers, and United Nation. 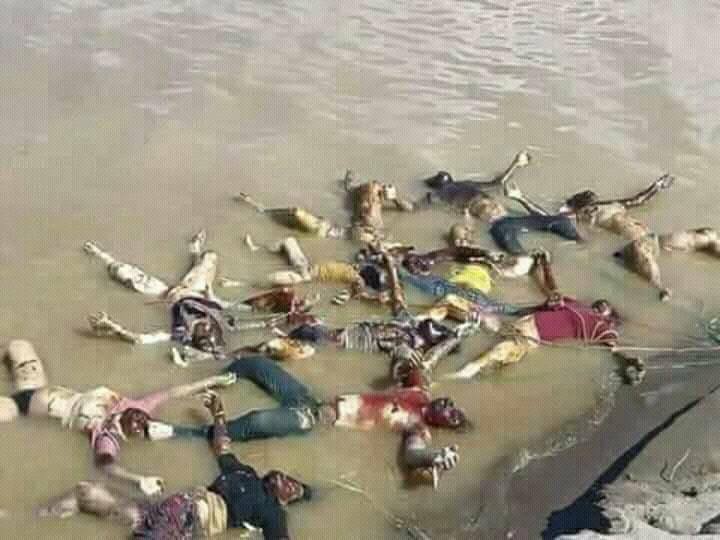 Where is US, China, Russia, UK and even Australia and neighboring India who could easily force Myanmar government to protect the lives of the Muslim Rohingyas. Myanmar is not a North Korea to put any fear of repulsion. What a hypocritical attitude of the West, US and Australia, when they have to deal with terrorist groups in Syria, Iraq and Afghanistan they landed their forces, bombarded the country with massive military power, on the other hand, when Muslims being minority are prosecuted and slaughtered then they just opt to be a silent watcher. In 2015, around 8,000 Muslim Rohingyas on a boat were reportedly to be stranded in insecure boats in the open sea, with little food and unsanitary conditions, and were left in limbo as countries, including Australia refused to accept them. Sadly, we are living in the world of double standards and hypocrisy. For one community, different rule and another community, different rule. Why are Muslim Rohingyas being ignored and why are their ethnic cleansing by the state power is continuously being ignored by world’s power? Why couldn’t we see a firm policy statement on the protection of the lives of Muslim Rohingyas from Australian government with forcing Myanmar to immediately stop genocide of Rohingyas? How come Australian politicians and ruling parties comprehend thousands of horrible stories and brutal images on social media and in making lead-line stories in our (Australian) media. The horrific scenes of genocide where Muslims are being tortured to death, burned alive to death in groups, young men are skinned-off live to death, children and women are raped, have shocked the world. Now it very much clear that Myanmar state power wants to wipe out Muslim Rohingyas from Myanmar. Another shameful behavior from the Muslim World, except one or two countries, majority of Muslim countries just sitting and watching the inhuman and brutal act of Myanmar state security forces and Buddhist terrorist groups. 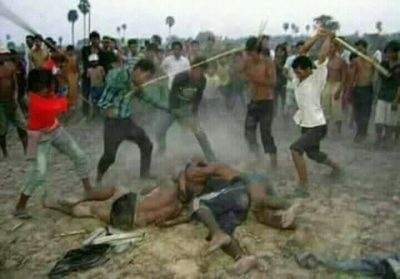 What should have been the response from Pakistan, Iran, Turkey, Saudi Arabia, UAE, Egypt, Bangladesh, Malaysia and Indonesia against these carnages and ethnic cleansing of Muslims. Certainly, there are few NGOs from Malaysia, Indonesia and Bangladesh are trying to provide them some support, Indonesia has now decided to its Foreign Minister to Myanmar to force Myanmar’s government to stop massacre of Muslim Rohingyas. Nevertheless, this is all nothing, the measure and actions required more than this. Powerful Muslims countries should be called to diplomatic heads in their states and warned them to discontinue diplomatic relations with Myanmar if ethnic cleansing of Muslim Rohingyas is not stopped immediately. They should take the matter to UNO and Security Council and demand to put international embargo on Myanmar. Country like Pakistan who has a strong army should demand Myanmar to stop slaughtering of Muslim Rohingyas immediately and give them ultimatum to send its troops to Myanmar to protect them.